Why get your teeth whitened with a dentist? There are many options for teeth whitening available outside of the dental office, including over-the-counter whitening solutions and mall kiosks offering fast whitening. However, these whitening solutions cannot legally use the same strength as your dentist can provide you. Professional whitening as offered by dentists uses higher strength whitening solutions that attack the ingrained stains that reside in the micro cracks of the tooth enamel and deep within the dentin. Over-the-counter whitening solutions only affect the surface stains. Our dentists prefer to prescribe professional take-home whitening kits over one-hour in-office or in-mall whitening with lights or lasers. Whitening systems such as Zoom Whitening work because the tooth is being dehydrated, giving it a whiter appearance. However, once the tooth rehydrates after a few days, it goes back to the original color. Our whitening trays are custom-fitted, whereas over-the-counter whitening trays are often one or a limited amount of sizes. Improperly fitting trays may cause the whitening gel to leak and can result in gum irritation, as well as a less effective treatment. KöR Whitening Deep Bleaching™ System, which works by restoring your teeth’s ability to absorb oxygen. 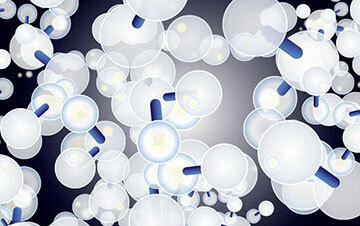 The oxygen in the whitening gel is absorbed deeply into the tooth, dissolving stain molecules. KöR is safe, comfortable (the trays are thin and form-fitting) and produces low to no sensitivity. KöR can lighten teeth 16 shades or more and can even handle tetracycline stains. Like KöR Whitening, Opalescence uses a whitening gel that penetrates deep into your enamel to get to the discoloration. We use the strongest strength formula available, which can get results in just half an hour a day and after the first few applications. Opalescence is also safe and produces little to no sensitivity. Your doctor will go over with you the whitening options and their costs so that you can choose the one which will work best for you. 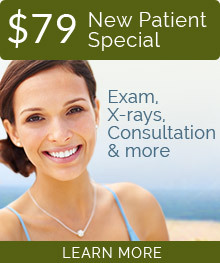 Your first step to whiter teeth that last is an oral exam with one of our doctors. Then, one of our staff takes impressions of your teeth and the trays are custom fabricated the same day and you’ll receive your bleaching kit. 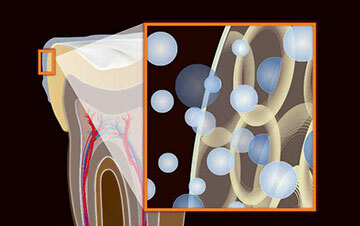 1.The whitening agent penetrates the enamel to reach the discolored molecules inside your tooth. 2.Oxygen molecules from the whitening agent react with the discolored molecules in your teeth, breaking the bonds that hold them together. 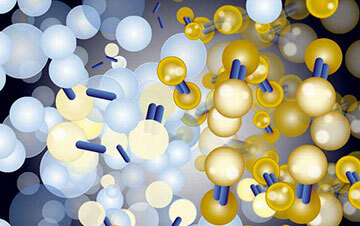 3.The oxygen molecules spread and whiten the entire tooth. 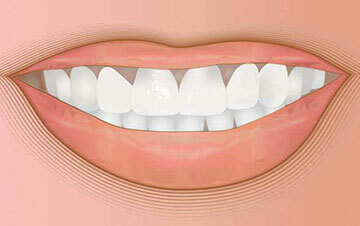 4.The result is a bright white smile!